These silver stud earrings are featured in the Tacori 18K925 collection. 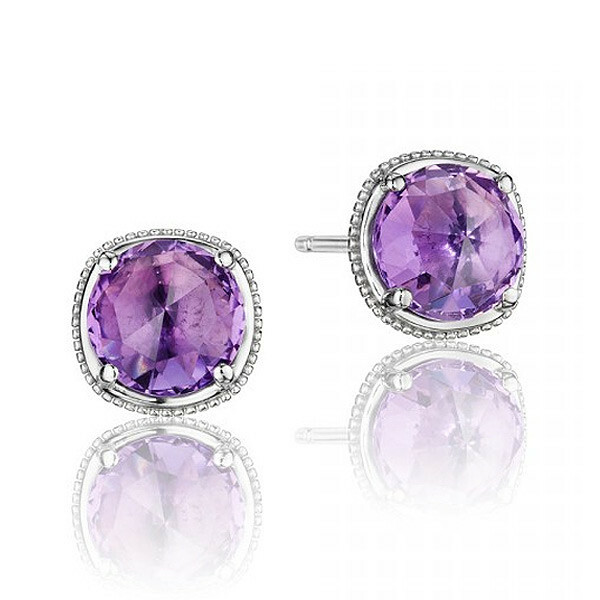 Flawless beauty surrounds these stunning purple amethyst earrings in a sterling silver setting with pave diamonds. The vibrant and colorful design has a sophisticated and luxurious look with a very modern edge, perfect for today's woman. Truly iconic glamour!